I know that there is still about a month left in the summer and as much as I don’t want to rush it, I am excited for the fall. I am! I admit it. Autumn is my favorite season and I’m not ashamed to say it. I am a fan of the fall. 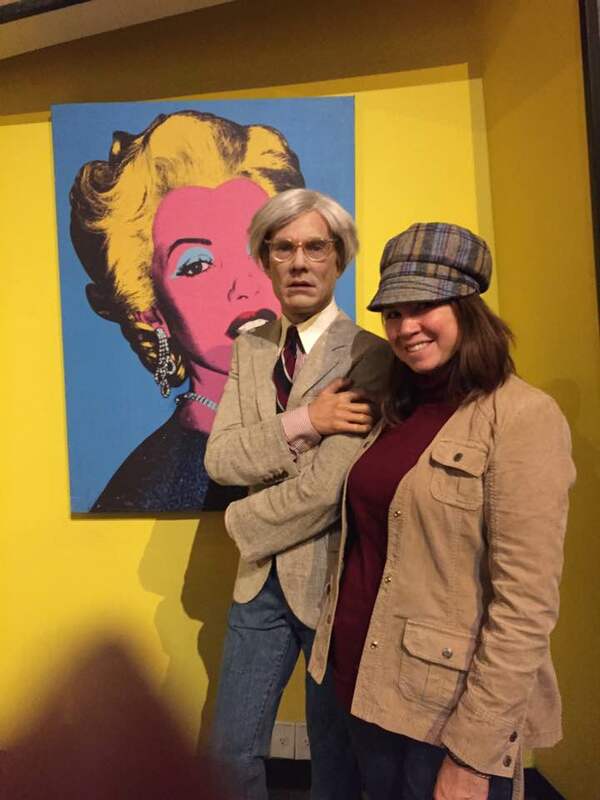 I am also a fan of Andy Warhol. Here I am with his wax sculpture at Madam Tussauds. I can remember being a young girl and doing my first Warhol style painting in art class. My subject was a rose. 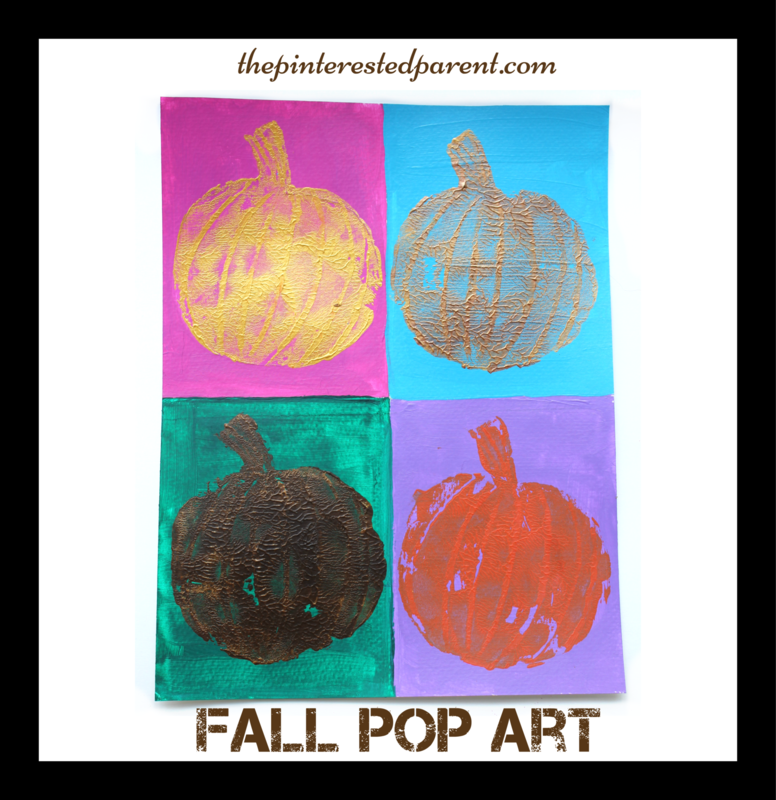 Warhol’s Pop Art style is bright & fun and is a wonderful inspiration for young and old artists. 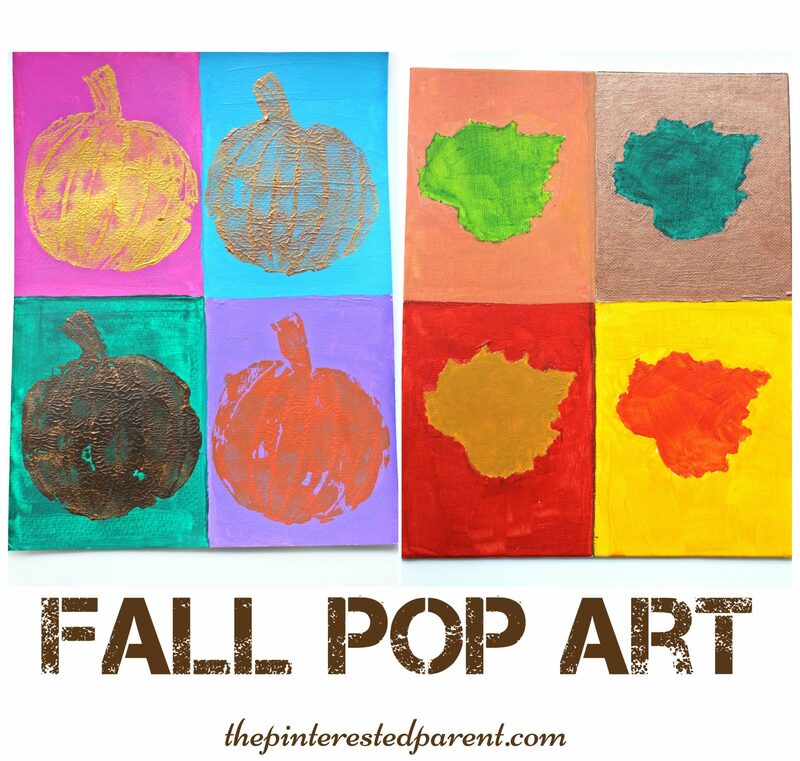 A fallen leaf inspired our Warhol inspired fall paintings. I picked one off of the ground in our driveway and couldn’t wait to make something with it. 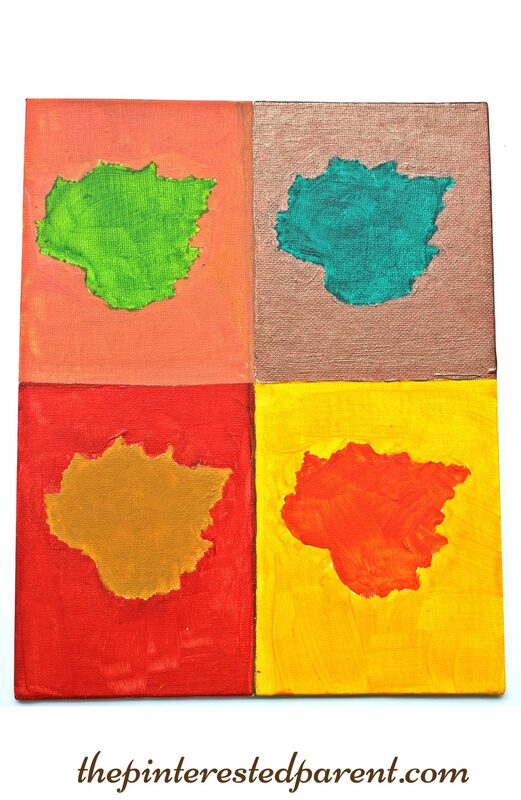 I divided a canvas into 4 equal sections & traced the leaf into each section. I painted each leaf in a different fall color and then painted around the outside of each leaf in a different color. This project can easily been done on paper with crayons or markers as well. 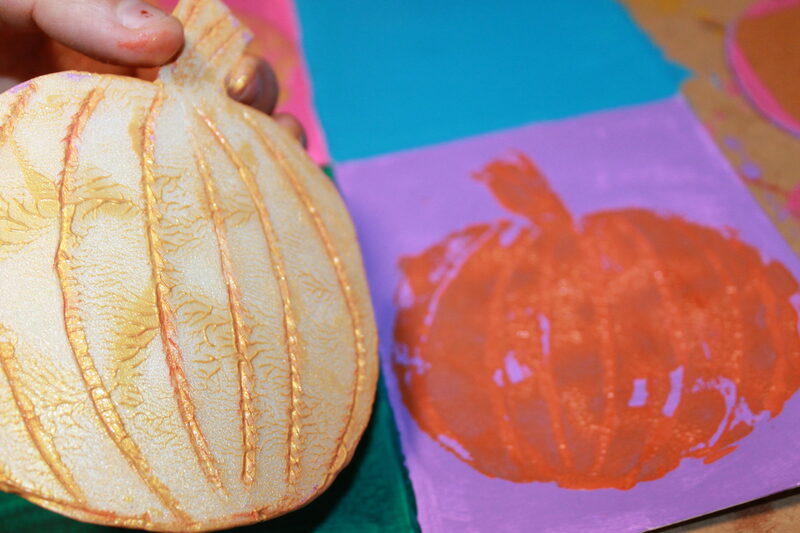 For the next one, I cut a pumpkin shape out of a styrofoam plate & used it as a stamp. You can easily carve out a design into the foam for the details. This time we painted all 4 quadrants first & then let the paint dry. 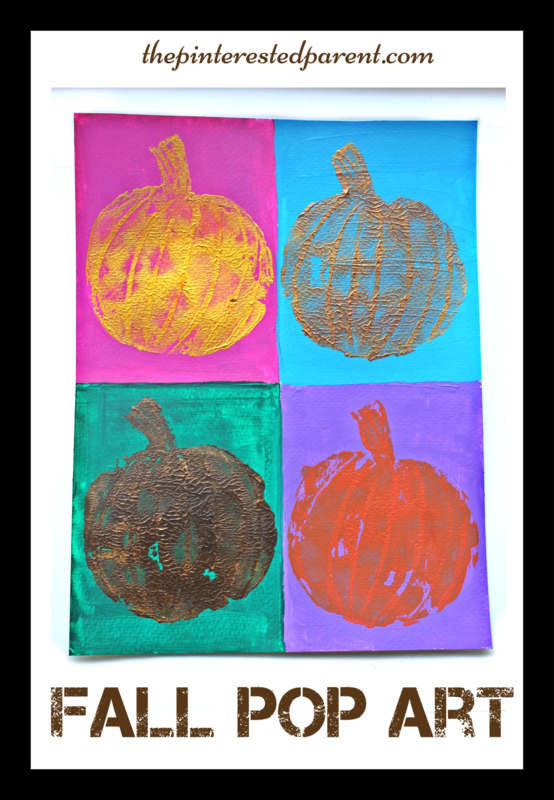 I painted the styrofoam pumpkin & used it to stamp each quarter in a different color. The styrofoam cleans off easily between colors. There are so many possibilities with this style of painting. You can use any subject that you choose and it is perfect for artists of all ages.